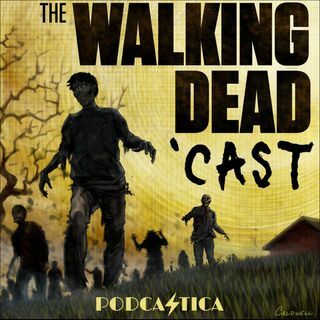 Join Jason, Karen, and guest hosts as we dig deep into The Walking Dead. We're all about having fun celebrating this show, and we love getting your input too. So jump on board and get into The Walking Dead with us! Join us online at facebook.com/deadcast. Check out our support page at patreon.com/jasonandkaren. We're proud to be the #1 Walking Dead podcast. Guests on our show have included Andrew Lincoln (Rick), Norman Reedus (Daryl), Steven Yeun (Glenn), Danai Gurira (Michonne), ... See More Scott Wilson (Hershel), Lauren Cohan (Maggie), Chandler Riggs (Carl), Chad L. Coleman (Tyreese), Sarah Wayne Callies (Lori), Laurie Holden (Andrea), writer/creator Robert Kirkman, special effects guru Greg Nicotero, and showrunner Angela Kang.